"Basilio" and Rachel Van Allen - first time out in the jumper ring. 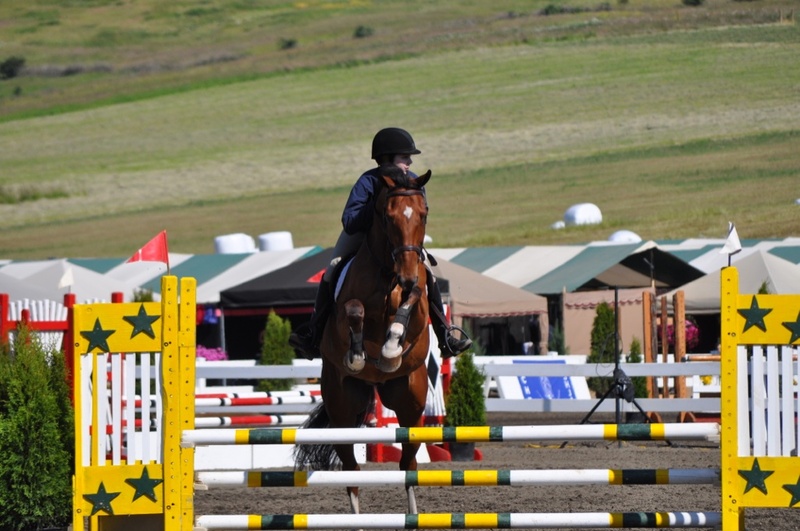 Another Quailhurst alumni report from the new owners of our 2005 gelding “Caby” (Caletino x Tjinja), this time competing in the jumper ring for the first time at the Early Summer Classic (rated AA) in Wilsonville, Oregon. There is nothing more thrilling for a breeder than to see a horse happy and excelling at doing what he loves. We can’t wait for the future for this fantastic pair!